Chris McCart is excited about the prospect of this season’s UEFA Youth League. With a group draw that would terrify even the most flourishing youth academy, Celtic Head of Youth Chris McCart believes the experience of the UEFA Youth League will prove invaluable for his club’s youngsters. FC Barcelona, AC Milan and Ajax sit waiting for the Scottish outfit, who have regularly participated in the NextGen Series over the past two seasons. Two consecutive group stage exits in the NextGen Series doesn’t sound healthy on paper but the truth was Celtic provided some credible performances that offered confidence and bright hopes for the future. 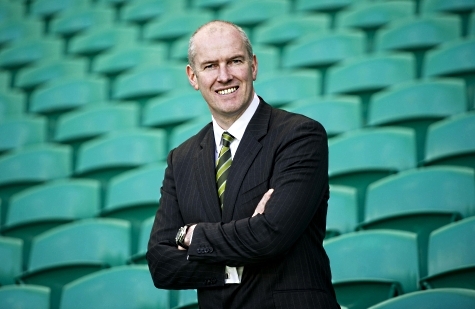 In this new competition, with a new format and new governing body, Celtic are keen to make an impression and McCart believes the experience will be incredibly useful for the player’s development. He told Celtic’s official club website: “With the first team qualifying for the group stages it´s fantastic that there is the added bonus of our under-19s having the opportunity of playing in the first-ever UEFA Youth League. “Everyone was disappointed with the news that NextGen would be suspended for a year. But being involved with this UEFA Youth League gives us the opportunity to continue with that experience, as it´s certainly benefited players in the past over the past two seasons playing in these types of games. McCart would have been sweating when the first team side, who were responsible for the youth team’s qualification, had a nervy first leg against Shakhtar Karagandy in their Champions League qualifier. Fortunately for the youth side, Celtic came out on top thanks to an inspired second leg and therefore qualified their youngsters for the UEFA Youth League. “Celtic have shown over the years that it is a Champions League club with the first-team regularly competing in the Champions League and that’s the standard we want to aspire to and want our young players to reach,” McCart said. “Ajax and Barcelona are both NextGen teams – Ajax got to the final in the first year and we played Barcelona in the first year. They are certainly very strong and their have strength-in-depth with the quality of their players and there is great investment in their Academy.